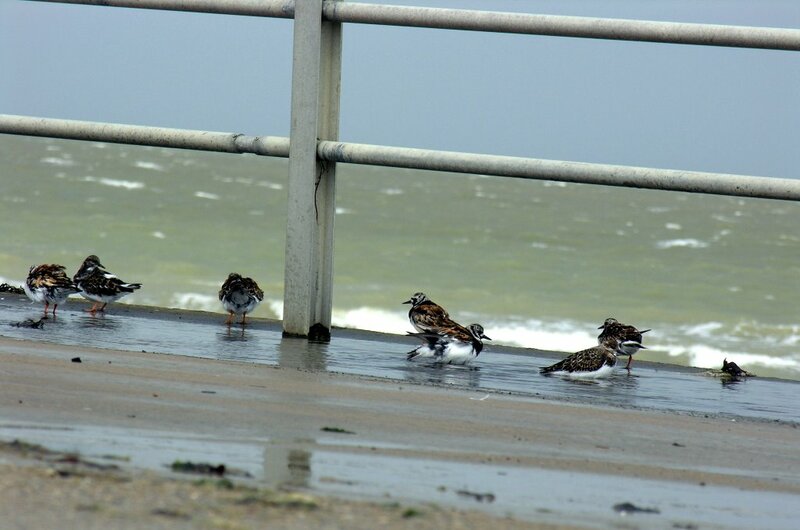 Signs of a very wet August day on Margate seafront. 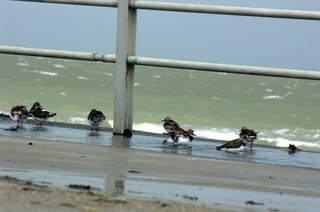 The small seabirds taking their first freshwater bath in weeks and seemingly enjoying it too. Possibly too late to save a lot of cherry trees planted alongside the manston Road but 11mm on Sat and almost 11mm since midnight today is pushing close to 1" of rain this weekend. Bad news for bringing in harvest and tourists to Thanet. Early forecasts of a "bumper season" for Margate may need to be revised.